One of a kind soundfront property. 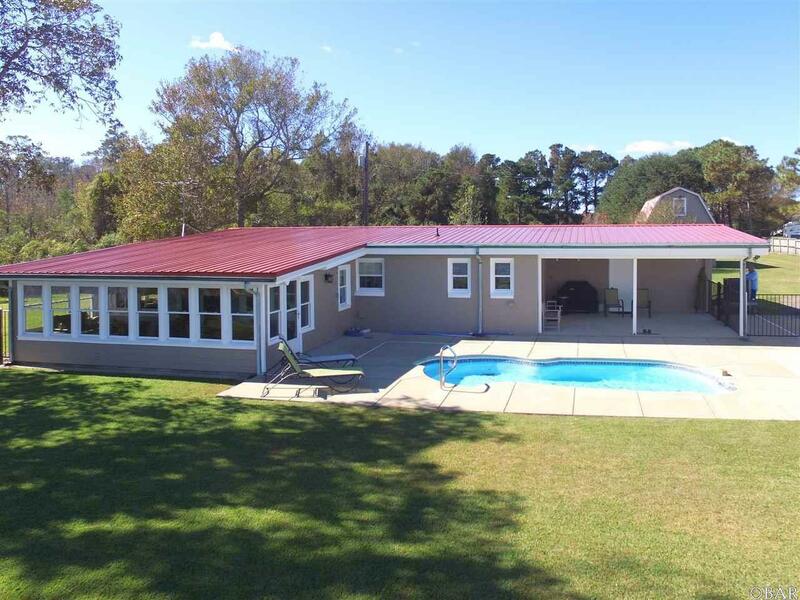 Privacy and room to spread out on over five and a half acres with three homes and endless potential. 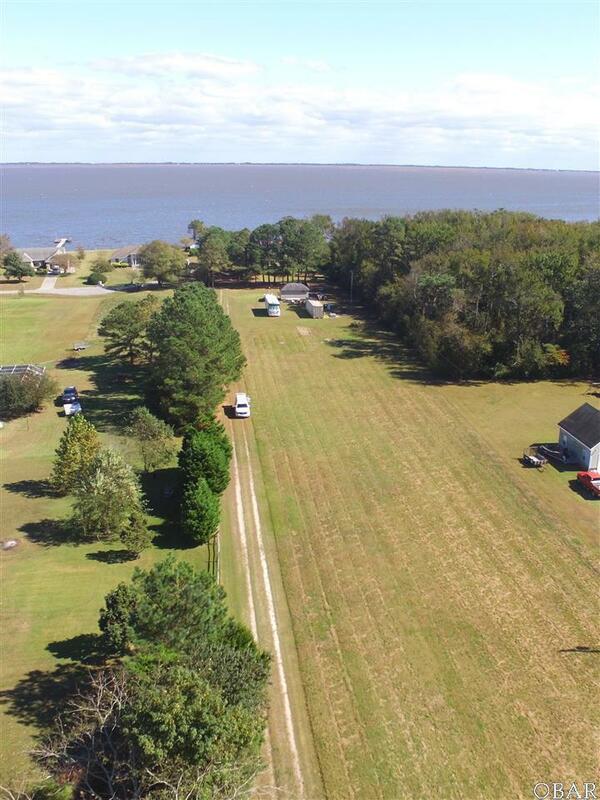 Beautiful open views of the Currituck Sound, bulkheaded with newly constructed approximate 200 pier, boat davit and private in ground swimming pool. The soundfront main home is made up of two bedrooms plus two and a half baths in a spacious layout with recently remodeled chefs kitchen. Beautiful wood cabinetry and stainless steel Jenn Air appliances including in-island cook top and built in wall ovens. Two full size stainless steel refrigerators top off this kitchen. Large great room with dining area and beautiful sunroom with soundviews that will be used year round to enjoy the scenery. Upgrades throughout this home are too many to mention; with fireplace, custom wood ceilings with exposed beams, ceramic tile flooring, custom tile showers, exceptional walk in closet and built in cabinetry throughout. The second house is a lodge style reminiscent of the Currituck hunting era. 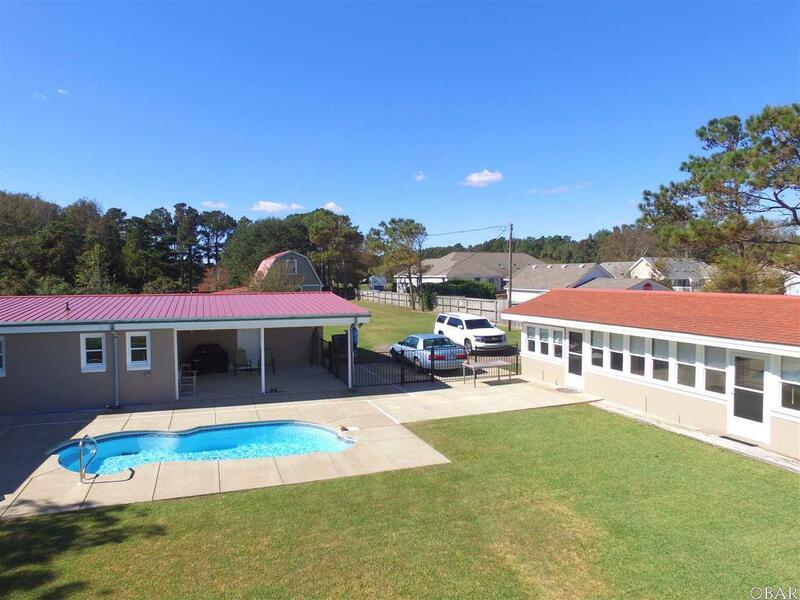 Soundfront and remodeled with four bedrooms, two baths and a common area. 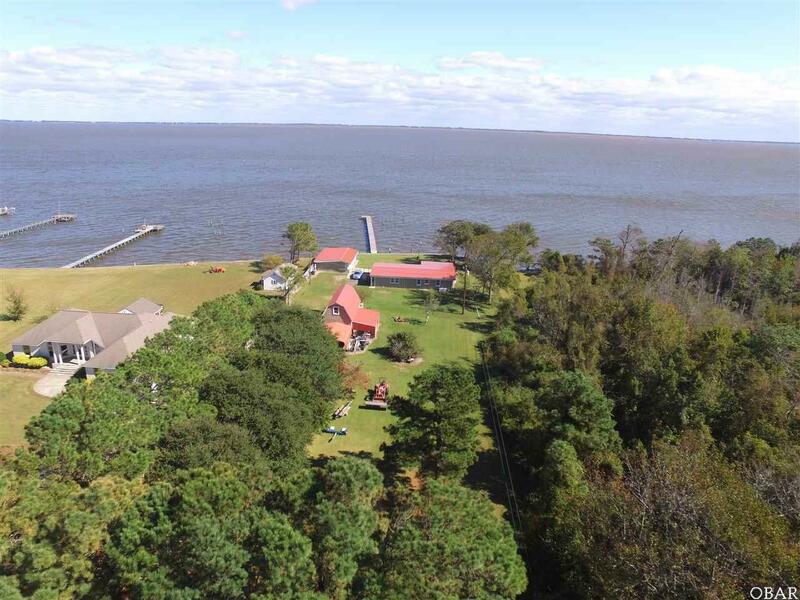 Sound views again from every room, the lodge overlooks the swimming pool and fenced back yard across to the Currituck Sound. Property also houses a spacious two story barn with power. This is currently used as a workshop but could be configured for many uses and offers expansive storage space. The third house fronts Aydlett Road and is currently used as a year round rental income generating property . Rental property was built in 2005 with three bedrooms and two baths. Appointments are required to show the property and will only be shown to pre-qualified buyers.